"Because of the explosion and the radiation leakage, Fukushima Dai-ichi already ranks as the second most serious nuclear power plant accident after Chernobyl. In terms of public impact, it may come in first because it's taking place in a country that has the world's most sophisticated earthquake prediction and mitigation systems, top-notch nuclear technology, and a pronounced national radiation phobia. Japan is not a technically backward country with notoriously poor reactor designs, the way the former Soviet Union was. Its nuclear power plants were designed and built with an acute consciousness of extreme earthquake dangers. So how is it, despite that sophistication, awareness, and preparedness, that the Fukshima Dai-ichi has nonetheless exceeded worst-case thinking? Here, the story is reminiscent of Three Mile Island and Chernob and the message seems to be the same: Worst-case scenario builders consistently underestimate the statistical probability of separate bad things happening simultaneously, as the result of the same underlying causes. [...] Every major nuclear accident has been worse than worst case, and that's a fact every nuclear advocate -- this one included -- will have to take into account." "The key to the crisis is water. In addition to the uranium fuel rods, the fuel assemblies have channels which carry highly purified water between the fuel. The water acts as both a moderator for the nuclear reactions and a coolant for the reactor core. On top of it all, it makes the electricity: as it is heated by the reactor, it turns into steam that drives the power turbines. Once the water passes through the turbines it is cooled and re-injected into the core to do it all again. It all goes great unless the water stops flowing, and that's exactly what it appears has happened in the wake of a massive magnitude 9.0 earthquake that shook the region on 11 March. Diesel generators designed to keep feeding water to Fukushima Unit 1 apparently shutdown about an hour after the quake. Yesterday, the water supply to Unit 3 was interrupted. In both cases, the cores began to heat up." "The type of accident occurring now in Japan derives from a loss of offsite AC power and then a subsequent failure of emergency power on site. Engineers there are racing to restore AC power to prevent a core meltdown. 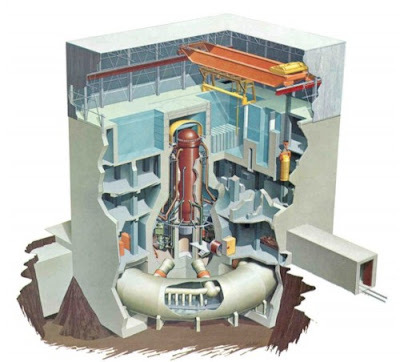 [...] Physicist Ken Bergeron provided most of the information regarding the actual damage to the reactor." An excellent set of balanced articles by true experts. Thank you for posting, Joost. I would pay attention to the comment on the first article (if you click through to the original). These are quite old reactors; newer designs from Toshiba-Westinghouse, for example, were designed from the start to be "fail safe." Nothing is perfect, of course, but these designs are certifiably better (literally). That said, I think the science of predicting the "worst case" has been shown again to be severely wanting. True, this was a once in a thousand years event... but think about it: that's 365,000 days, making the chances of a really bad day greater than "1 in a million." It's quite disappointing that this failure was not properly foreseen. I do truly hope that the problems are soon under control and I encourage the world to be generous in helping the Japanese people recover as quickly as possible.